Well-known S.C. broadcaster Woody Windham retired in 2012, but he isn’t finished behind the microphone. For the past four years, he’s been pumping out the music at his dance club in Columbia’s Vista and launching his own Internet station. Woodrow “Woody” Windham Jr., a household name in Columbia radio, could have stopped entertaining after retiring from more than 50 years in broadcasting. But Windham, 75, just moved from the dial to the dance floor. For the past four years, he’s been presiding over his Lady Street dance club, The Woody in the Vista. Its already been voted as Columbia’s best twice by Free Times readers. But Windham also never really left radio after retiring, creating his own Internet streaming station, Woody with the Goodies. Given Windham’s history, that shouldn’t be surprising. He helped transform Columbia radio in the 1950s, says John Wrisley, another former Columbia broadcaster. Windham’s voice occasionally echoes throughout his club as he quizzes his visitors about unfamiliar tunes. Throughout his career, Windham has always been behind the microphone. Windham launched Woody with the Goodies in 2011 – the same day he opened his nightclub. It plays nonstop, commercial-free music from his 14,000-song collection, and Windham says he takes pains to not just segue tunes but to mix them, trying to match the beat. Windham started in 1959, working part-time in Darlington for WDAR-AM. 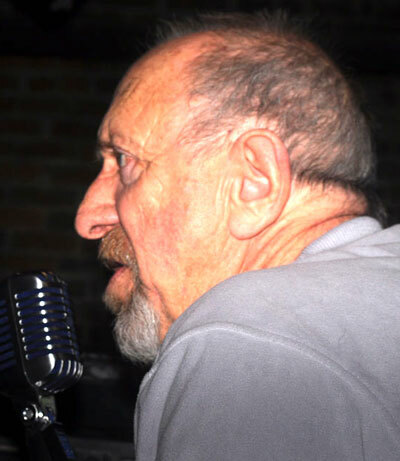 After a career that took him through beach music, rock ‘n’ roll, oldies and country, he stepped aside in 2012 at WISW-AM, where he had been shifted to doing a talk show. “Talk radio is for Republicans. My dad is not a Republican,” said one of his daughters, Jennifer. Windham is known for his charity work. Among his honors is recognition as Columbia’s “Best Air Personality” by Columbia Metropolitan Magazine in 2006. Windham’s ability to connect with people through music easily transitioned to the club at 808 Lady Street. On weekends, you’ll find him keeping the crowd on their feet as the disc jockey with his mixture of old- and new-school grooves. But later in the evening, Windham usually steps aside so Jennifer can take over. It’s a way, she says, for her to jumpstart her disc jockey career. Windham also helped one of his brothers, Leo, become a disc jockey. Wrisley is just glad there’s still gas left in Windham’s tank. We talked with Windham about his family, his legacy and his love for music. The interview has been edited for length and clarity. Working alongside your brother Leo in the Windham brothers’ talk show and also now, with The Woody, your daughters, they’re helping you run it. Why has family been so important for you in your professional career? Because it just is. Everything about me is family. I’m a family man. I have three daughters, three granddaughters and now two great granddaughters. No boys, so I got to take a step up, I got to take the lead. Well my daughters, like I said they both had secretarial kind of dead end jobs, and I wanted them to become entrepreneurs. And so I opened up the club and did it for them. But it’s also for me too because it’s a tribute to my career and I’m hoping it’ll be there for a long time. Awards, achievements, accolades, you name it you’ve won them. What do all those things mean to you? Throughout your career, local charities have been huge for you. Why did you want to give back to the local community so much? Because people appreciate it. I used to do marathons on the radio for 70 hours where I’d end up losing my voice and raise $70,000 for the heart association. Get a feel of what you’d hear when visiting Windham’s nightclub. Watch a 2010 video of the celebration of Windham’s broadcasting career. The Facebook page for The Woody in the Vista. View some of Windham’s family and career photos on his Myspace page. What made you want to even do (online radio) 24/7 without any commercials? I have to tell you, people ask me all the time, how long I’m going to do it. I always tell them the same thing, “I’d like to die at the mic.” I mean really, I would like to die at the microphone. Everyone knows that I did it my whole life, did exactly what I wanted to do, did it my way. Songs Woody wants played when his music stops. Why Woody didn’t last long in talk radio. Her best memories of her father. Hey man, just ran in to your site. Grew up in Columbia, S.C.in the 50’s through 70’s. I seem to remember having to slip away from my grandmother to listen to you broadcasting from the tower beside Doug Broomes restaurant. Oh, those were the days. Been trying to find a picture of Doug Broomes restaurant showing the broadcast tower,but can’t find one. If you have one laying around,please send to me. My wife now of 38 and myself still come to Columbia quite often. Now that i know about WOODY, we be sure and check it out. Thank you Woody, for your kindness and example and inspiration over the decades since your Doug Broome’s Drive In. show. I just wanted to say that Antoine did a fabulous job on this, extremely accurate and well written.